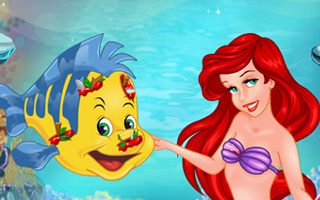 Ariels best friend Flounder suffered some serious injuries after a normal day of swimming in the blue sea. Ariel is very sad and need help of a good doctor to treat her friend so that he will feel good again. Help Ariels friend Flounder to recover from this accident !